By August 1968, the American space program was in danger of failing in its two most important objectives: to land a man on the Moon by President Kennedy’s end-of-decade deadline, and to triumph over the Soviets in space. With its back against the wall, NASA made an almost unimaginable leap: It would scrap its usual methodical approach and risk everything on a sudden launch, sending the first men in history to the Moon—in just four months. And it would all happen at Christmas. In a year of historic violence and discord—the Tet Offensive, the assassinations of Martin Luther King, Jr., and Robert Kennedy, the riots at the Democratic National Convention in Chicago—the Apollo 8 mission would be the boldest, riskiest test of America’s greatness under pressure. 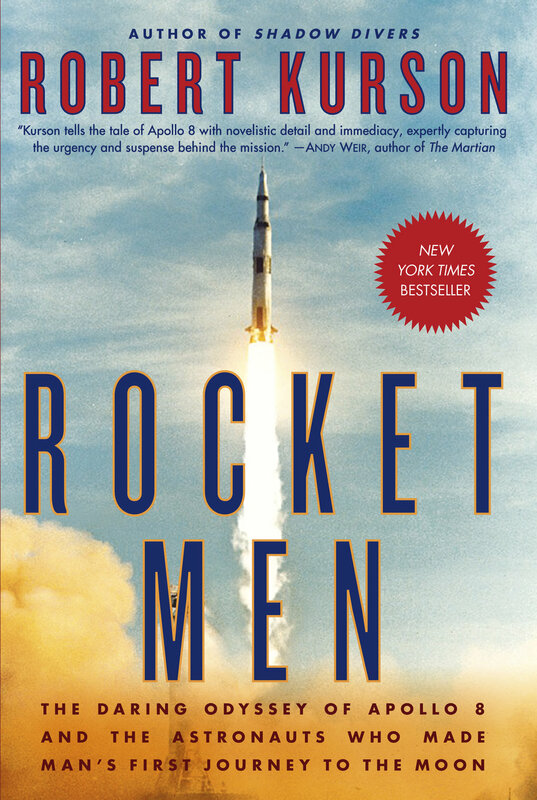 In this gripping insider account, Robert Kurson puts the focus on the three astronauts and their families: the commander, Frank Borman, a conflicted man on his final mission; idealistic Jim Lovell, who’d dreamed since boyhood of riding a rocket to the Moon; and Bill Anders, a young nuclear engineer and hotshot fighter pilot making his first space flight. Drawn from hundreds of hours of one-on-one interviews with the astronauts, their loved ones, NASA personnel, and myriad experts, and filled with vivid and unforgettable detail, Rocket Men is the definitive account of one of America’s finest hours. In this real-life thriller, Kurson reveals the epic dangers involved, and the singular bravery it took, for mankind to leave Earth for the first time—and to arrive at a new world. Kurson reminds readers of the days when America’s dreams and goals lay far beyond Earth’s surface [and] effectively recreates the era, recalling the tumult of a changing nation, as well as the tension felt by those involved both on Earth and in space, of a mission with little margin for error. Fans of explorers and adventurers will enjoy this vibrant, accessible history.